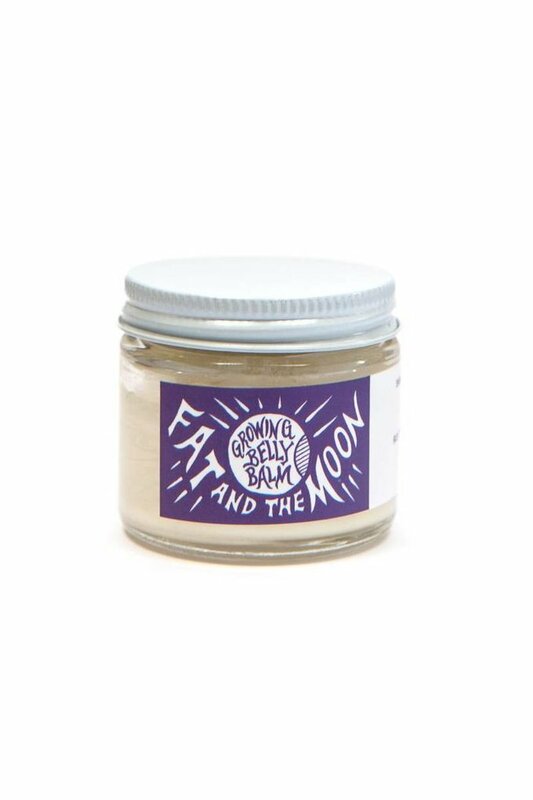 Fat and the Moon Growing Belly Balm - Wildland Supply Co.
Made for the momma-to-be or the ambitious glutton. This balm is like a cloud made of butter--cocoa and shea butter, that is. Hard to decide whether I want to eat it or slather it more. Whipped to perfection, the above-mentioned butters along with almond oil support and protect the skin on its journey beyond. Use IN the shower to seal in moisture, rub yourself down when your skin is wet and elastic and towel dry as usual. This Belly Balm is a super moisturizer and works to soften elbows, knees and feet too!